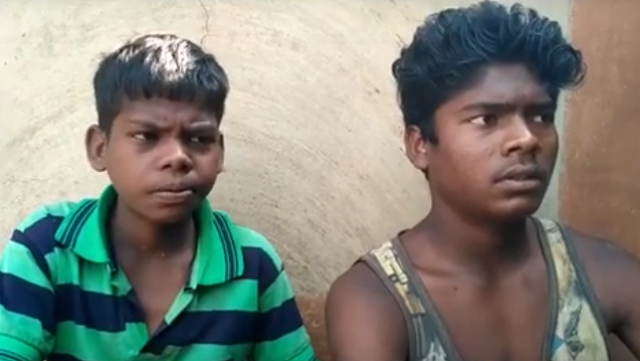 A fact-finding team of the Right to Feed Campaign, pointing towards the death of two more persons due to starvation in Jharkhand, has said that this has happened because of the absence of aadhaar, leading to “persistent lack of food at home and unavailability of any means of earning.” It has disputed the state government claims that these deaths are due to reasons other than starvation, adding, the authorities have “done nothing” to reduce the alarming state of food insecurity in the state. In a note based on the fact-finding team’s spot investigation, the well-known civil rights organization has said, two deaths have taken the total number of starvation deaths in Jharkhand to 17 since September 2017. This includes 8 Adivasis, 4 Dalits and 5 of backward communities. “Contrary to government’s claims, the immediate causes of these deaths include denial of foodgrains due to absence of a ration card, cancellation of ration cards not linked with Aadhaar, or Aadhaar-based biometric authentication failures”, it adds. At least two more persons died of starvation in Jharkhand in the last 25 days. This takes the total number of hunger deaths in the state to 17, since September 2017. The most recent victim is 45-year old Kaleshwar Soren who died of hunger and destitution on 11 November in Mahuatanr village of Jama block of Dumka district. 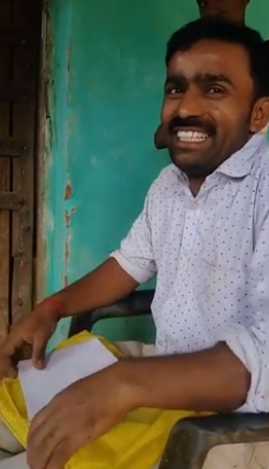 A fact finding team of the Right to Food Campaign, Jharkhand found that the ration card of Kaleshwar’s family was cancelled as it was not linked with Aadhaar. Kaleshwar lived in extreme deprivation, in a dilapidated kutcha house with no possessions except a wooden cot. Lack of adequate food and nutrition was routine for the family. Kaleshwar could barely manage to survive on the food given by neighbours. He had grown weak over the last couple of years and had stopped working. He had to mortgage the family’s agricultural land and sell off his pair of oxen to survive. Owing to persistent lack of food at home and unavailability of any means of earning, all his five children never went to school and had to seek work since early age. Two older sons, who work as daily wagers in Rajasthan, were not allowed by the contractor to go back home even once in the last two years. They could not even visit after their father’s death. The family’s priority ration card was cancelled in 2016 as it was not linked with Aadhaar of the family members. Since then, the family did not receive grains under the Public Distribution System (PDS). According to the ration dealer, after the cancellation of the ration card, when Kaleshwar was asked to submit his Aadhaar to get back on the ration list, he could not submit it as he had misplaced it. None of his children has an Aadhaar number. The Mukhiya of the Gram Panchayat claimed to have given some grain to Kaleshwar from the Khadyan Kosh (grain bank) of Rs. 10000 established to support vulnerable families. Even though fact-finding team could not verify the claim, it shows how ineffective the government’s “solution” is. Along with Kaleshwar, ration cards of 27 families of the same village were also cancelled in 2016. Twenty-six households were reinstated on the ration list a year after their card was cancelled and after they submitted their Aadhaar and bank account details. Jian Kisku of the same village, whose ration card was also cancelled in 2016, is yet to get back on the ration list as neither he nor his wife has Aadhaar. Kaleshwar’s death comes close on the heels of the deaths of Moti Yadav of Margomunda block (Deoghar) on 1 November and Seeta Devi of Basia block (Gumla) on 25 October. Moti Yadav, visually impaired, died of destitution. He did not get disability pension despite applying for it. 75 year-old Seeta Devi, who lived alone, starved to death as she did not have any food or cash at home before her death. Even though she had a ration card, due to illness, she could not go to the ration shop in October to authenticate her identity. She was also denied old age pension as her bank account was not linked with Aadhaar. The 17 starvation deaths, since September 2017, include 8 Adivasis, 4 Dalits and 5 of backward communities. Contrary to government’s claims, the immediate causes of these deaths include denial of foodgrains due to absence of a ration card, cancellation of ration cards not linked with Aadhaar, or Aadhaar-based biometric authentication failures. Denial of social security pensions and absence of work under the National Rural Employment Guarantee Act further contribute to the destitution of the starvation victims and their families. At least seven victims were eligible to social security pension, but were either not issued a pension or did not receive their pension due to administrative lapses or Aadhaar-related issues. Not to mention the children of these families, with poor education, negligible access to health services and employment, are staring at a bleak future. strict action against government officials whose lapses have caused these deaths. But the state government continues to deny starvation as the cause of these deaths and has done nothing to reduce the alarming state of food insecurity in Jharkhand. It is worth noting that at least five persons have died of hunger since the government’s announcement of setting up Khadyan Kosh at the Gram Panchayat level to support vulnerable households. Such token initiatives fail to ensure universal access to food security as a matter of right and expose the government’s lack of commitment for right to food of the people.